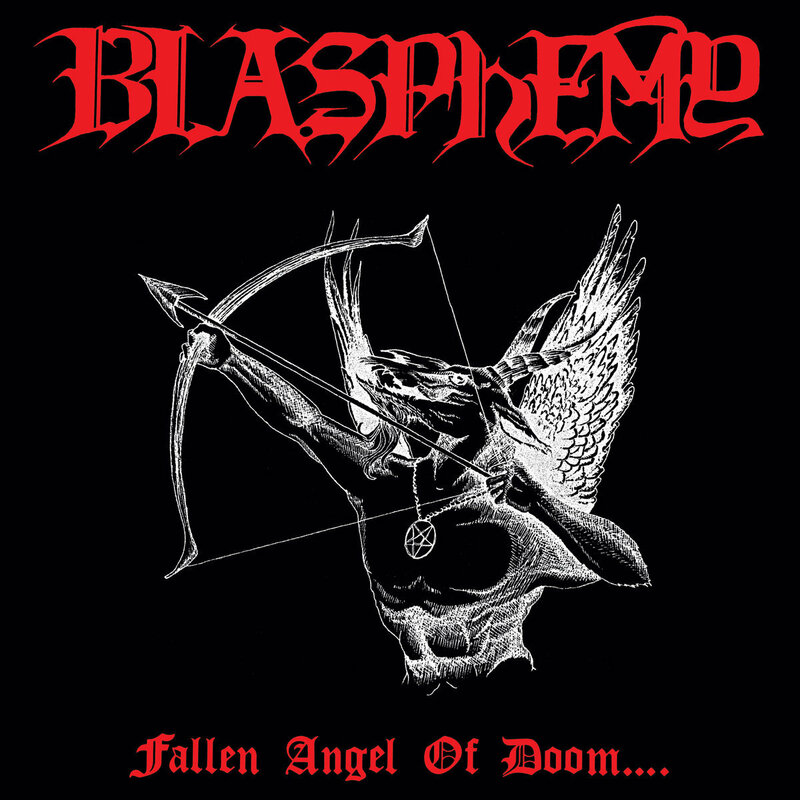 Fallen Angel of Doom.... is Blasphemy's first full-length album, released in 1990. The album is considered one of the most influential records for the war metal style (also known as war black metal or bestial black metal. Following the success of Blasphemy’s “Blood Upon the Altar” demo, which was released in 1989 and ultimately sold more than 2,000 copies, Richard C. of Wild Rags contacted the band, offering them a contract for their debut album. In 1990, the Desecraters entered Fiasco Bros. studio to record “Fallen Angel of Doom” on a meager $2,000 budget. At the time, Blasphemy had few contemporaries; virtually no one had a style that was so immediate and forceful. Blasphemy drew upon the frenzied assault of death and speed metal, as well as early grindcore acts like Blood and Genocide, but augmented it with the unbridled evil of Sarcofago, Sodom, and Bathory, yielding a new virulent strain of Black Metal.